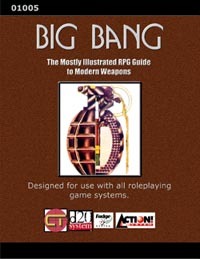 This latest volume presents the theme of grenades. Focusing mainly on grenades manufactured by the United States and the former Soviet Union, this book presents a wide range of all types of hand grenades, rifle grenades, spin-stabilized grenades, and polyvalent grenades. More than 50 different grenades are presented. Accompanying these weapons is a section detailing riot control agents, the chemical weapons used to break up unpeaceful demonstration, riots, and unruly mobs around the world.